"Enter Into the Infinite Space"
"The Carmelite way of life began in Palestine in the 12th Century on Mount Carmel. The Carmelite Order began with a group of hermits who wished to lead a life like that of Elijah, the solitary one and the prototype of all hermits called to live a life of prayer. Early on, these hermits asked St. Albert of Jerusalem to give them a simple formula of life which became known as the Rule of St. Albert. Carmelites throughout the world still retain and live this rule. So it is today in the 21st century the Discalced Carmelite friars and nuns continue to live this way of life begun on Mount Carmel and reformed by Saint Teresa of Ávila in the 16th century. Called to be contemplatives, absorbed in God alone, Carmelites are also called to be at the service of the Church and of all people. The ascent of Mount Carmel is a call to face the challenge of prophecy and contemplation. Drinking from the spring of Elijah means following Christ and demands keeping one’s feet on the ground while reaching for the heights of the mountain often hidden from view. We walk in faith, hope, and love of God as did Mary and all the saints who have gone before us." 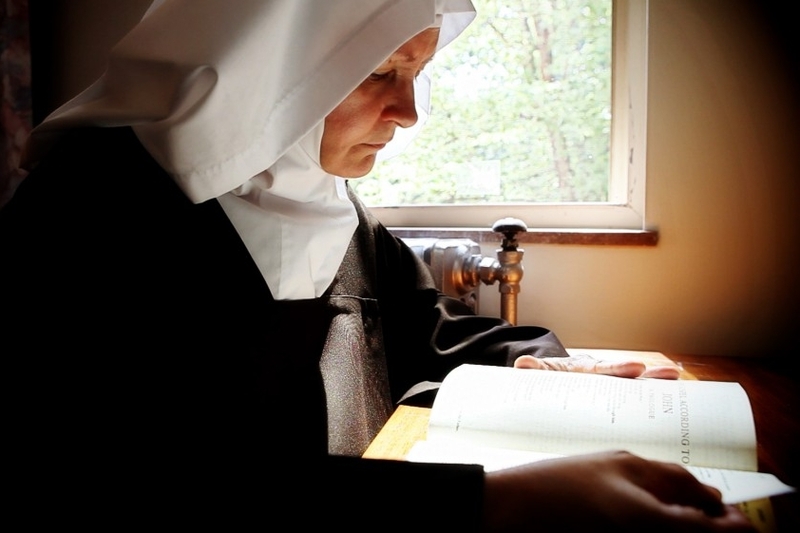 The Carmelite Order was founded by 12th century hermits who wanted to devote their lives wholly to contemplation. Dwelling on Mount Carmel where the prophet Elijah sought union with God, they dedicated themselves in a special way to the Blessed Virgin Mary. The hermits left Mount Carmel in the 13th century, spreading throughout Europe. The first monasteries of cloistered Carmelite nuns were founded in the mid-15th century. The Carmelites of the Ancient Observance (O Carm) follow this original rule. The Carmelite Hermits of St. Mary of Carmel follow a rule based on the original Carmelite rule, but they are distinct from the Carmelites of the Ancient Observance. The most famous Carmelite saint, St. Teresa of Avila, lived in Spain in the 16th century, a time when cloistered monasteries had grown lax. St. Teresa was determined to return to the original roots of the order, emphasizing a strict enclosure, radical poverty, and contemplative prayer. The word "discalced" came from a Latin word meaning "without shoes," because the nuns went barefoot or wore sandals instead of shoes with stockings.